If you are as wise as Mahatma Gandhi, you probably share his opinion: “It is health that is true wealth…”. And if your haleness is of an average modern person, then… you need to urgently take care of it! What can you do today, right now? Since you are reading a “Goal Buddy” article, you are likely to guess correctly. 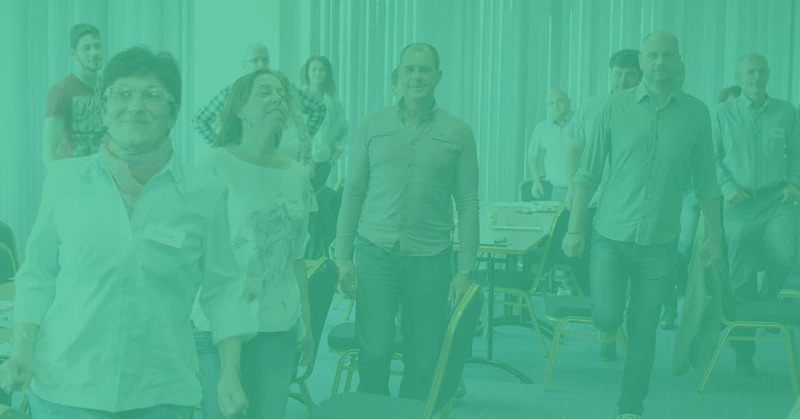 Sure – build a vision for health and set your first 90-day goal. Let’s have a few words about why and how to do so, and we will share some tested recipes for success. It was the Roman poet Juvenal who found this should be desirable in life. Things haven’t changed much in the last 20 centuries. According to much of the latest research, the physical and mental health are correlated. The right and balanced diet impacts the brain’s functioning. It’s no coincidence that some foods are known as “foods for the brain” – they improve our ability to focus and to remember. The effect of sports is proven, too. Physical exercise directly influences the parts of the brain, responsible for the thought process and the memory. Moreover, it indirectly has an effect on the mental state by improving sleep and mood, along with decreasing stress and anxiety. First, “mens sana in corpore sano” is no mirage. Your health is in your own hands and you can make the conscious effort to stay in shape – both physical and mental. And that’s great news! Furthermore, you need to prioritize your well-being and do so not just once in a while, but for life. To put it differently, you need a vision for that matter. According to the famous saying, man first sacrifices his health in order to make money, then he sacrifices money to recuperate his health. No matter which of the two you are doing right now, you would benefit from taking care of it and we mean today. Start with formulating a long-term vision. If you are not sure which vision to build first, let it be the one for health and fitness. In order to imagine it easier, you may call it a vision for 25 years. But it may just as well have no deadline. Because you’d like to be healthy throughout life, and not only till let’s say 2028, right? Health is important. But why is it crucial? Now we come to the question why this vision tops the rest. The answer is simple and obvious. In the first place, fitness provides energy for all your activities. Picture this unfortunate scenario: you being overweight, chronically fatigued and with high blood pressure. Imagine yourself now with that kind of medical history and hitting it big at the same time. Hmm, it’s hard, isn’t it? Low energy won’t help you do what you have to do for your goals. And that way you won’t come close to your dreams. Besides, health is the foundation of it all. It is the prerequisite for you to enjoy life. Advancing on this vision, you would create a domino effect on the rest. Thus you will become the best version of yourself in different life areas and will manage to balance them well. So, don’t think twice. Go and define your vision. How to do so and what to put in it – you will find some ideas below. Sure, it’s not that simple. It is one of those complex visions, which consist of various elements. Equilibrium matters here. You won’t be blooming, even if you eat 3 apples a day for the next 25 years. You will not if at the same time you stay glued to the computer, drink coffee all day long only to slow down with alcohol in the evening and eventually get just 4 hours of sleep. Exercise – although the first three elements are a good start, you can take it to the bank that this one will bring results. And to complete the picture, you have to add “taking care of yourself spiritually” to the above-listed essentials. You can do so with meditation, yoga, recreation, self-help books or seminars, you name it. It’s up to you and your personal perceptions to pick and choose. Then, let the juggling begin. You will need 90 days to get used to it. Isn’t it absurd to believe that by running a half-marathon this coming Saturday you will stay fit all your life! No doubt: becoming healthy is something you can’t do with just one giant step. It is the plenty of small and consecutive steps that will take you there… What was their name again? Habits! We couldn’t agree more. Ergo, we, the creators of “Goal Buddy”, use these as a great and effective method for staying on track with our goals. What’s more, in fact our 90-day action goals are often goals to form habits. Why? Because three months are optimal. In fact, most experts point out, that it takes between 21 and 30 repetitions for an action to turn into a routine. The count is simple: if you exercise 3 times a week, for 90 days it will become your typical behavior. But let’s share with you our own experience. Straight from the source, here is how we phrased some of our own 90-day action goals to form habits within our “Healthy mind in healthy body” vision. „To form a habit of exercising at least 3 times a week.”. We put no limits on what exactly – it could be going to the gym, skiing, cycling, jogging, playing tennis – or any mix of these. The commitment is to work out 3 times a week. „To become accustomed to getting enough rest.”. It means that at least one of the weekend days is check-list free. „To get used to keeping a daily journal”. It turns out many people acknowledge how valuable their diary was for keeping track of their own thoughts and actions while acquiring habits for healthy living. „To create a practice for doing yoga and meditating at least 5 times a week.”. This one builds upon the goals for maintaining not only the body but also the mind. In the course of time, we discovered that routine is a useful means for success. In order to keep it going, we are often prone to act in a way that might seem strange to others. Like going to the gym just an hour before а flight… and then once again, immediately after you come back, even if it’s New Year’s Eve! Since habits are a powerful tool, you’d better use them for good. Like in the name of your thriving. How to track your progress on your goals for forming habits? After the 3-month period, it’s important to look back and see if you’ve enacted what you have committed to do. It’s very helpful to develop some kind of a monitoring system for your 90-day goal for building a habit. That will provide the data needed for your analysis. Niki is using „Color coding“ to indicate his progress on the goals for forming habits. He’s marking in Excel the completed actions: 100% are green, 50% – orange, and the rest are red. Ivan is collecting the old gym membership cards to keep count of his trainings. After you’ve been working on establishing a habit for a while, you don’t need to track it anymore. Otherwise, it’s not your “second nature” yet. You will know it when it becomes one: like us, you will rearrange all your day, just to be able to stick to your routine. The road to health: pleasure or pain? To the one that considers their daily 7 miles jog as a complete happiness? Or to the rest of us, who find it the source of all evil? Every time you want to achieve a particular end result, you need to go through a certain period that requires courage and takes you out of your comfort zone. You can’t bring anything to success just by having fun. No pain, no gain. Also, “Nothing worth having was ever achieved without effort.”. Anything you do for your own well-being always brings about satisfaction and you will never regret it. Remember: even if you feel bad on the way to the gym, you will for sure feel great afterward (well, not if you pull a muscle). It really helps to have a positive attitude to everything you do for your own good. The secret? Love yourself enough to live a healthy life. Don’t take exercise and diet as some kind of a punishment. On the contrary: this is your own choice to live like that and be happy about it. But how do you find the right path to health? The topic of the healthy lifestyle is never-ending, especially in nowadays dynamics. The stressful everyday life and the lack of time often cost you your health. Thus taking good care of your body became trendy, more or less. There are loads of resources out there, offering countless advice and programs on how to get in perfect form. It’s close to impossible to know in advance which one will work best for you. This is for sure: You’d better start doing anything and adjust later, rather than doing nothing at all. That’s why 90-day action goals are often experimental. They will help you realize what has the desirable effect on you and what hasn’t. We all have our own starting point and motivation, so there’s no such thing as a “one-size-fits-all” solution. One strategy could be reading books for healthy life, another one – consulting with a nutritionist or hiring a personal trainer. Just go and try, until you find how to crack it. Consistency over time brings amazing results! We just said there is no solution that is good for all… but maybe there is one anyway? Let us illustrate what came out from our experiment on the vision for health, which has been proven to work! We, like many others (including successful businessmen and entrepreneurs), have come to the same conclusion. Surprise, surprise: if you have a personal trainer, you go training. Obviously, the missing link between you and your success is namely the person who supports you. For your fitness objectives, this person is your trainer. And in the “Goal Buddy” system this is… your goal buddy, of course. It’s as simple as it sounds. In most cases, you may try out different strategies and find what’s working for you. But you might save some time by doing what’s really productive – to find yourself a goal buddy. The system is so effective, that we just couldn’t keep it for ourselves. We would be pleased if you like it and if you help us spread the idea. 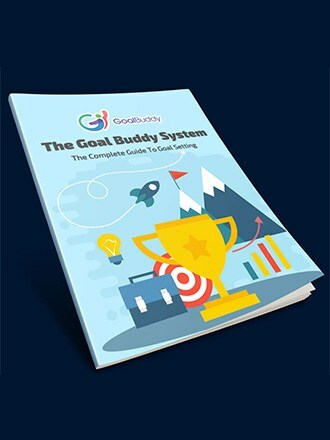 Share this article with friends, tell them about “Goal Buddy” and let them know where they can learn more. It’s a win-win – this way you could find your goal buddy! See you later, when the group of successful people will grow by at least one more, we hope!